Fine Art Quality, Professional "Ball Head"
Professionals demand a device that can trust. It must perform when situation gets difficult, even in extreme cold or hot weathers. Our Q-Balls are very durable and corrosion resistant because they are made out of the highest quality Material(A6061-T6) used in the aviation industry with CNC precision machining and hard-anodized process. You can trust our Q-Ball and dedicated yourself in taking pictures. It only takes a single turn to open or close the quickshoe jaw. You will appreciate this fast open and close performance when you need to change the setup quickly, especially in cold weather or under urgent situation. 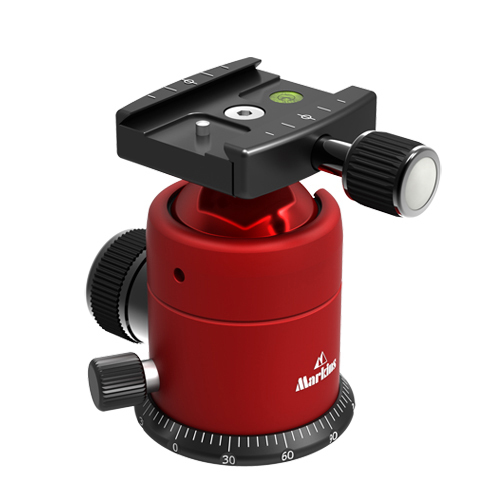 Laser engraved position marks make it convenient to align the nodal point in panorama photography. © 2013 - 2019 Trinple.